Summary: Baking is in Issy Randall’s blood. Growing up above her grandfather’s bakery taught Issy that a delicious pastry could make any day better. So when she’s laid off from her desk job—by the man she thought was her boyfriend, no less—Issy knows now is the time to start her own little café. I am the first to admit that I'm a sucker for food-themed books especially if the word "cupcake" is in the title. And what's even more tempting to me are books that have recipes in them! That's initially what attracted me to MEET ME AT THE CUPCAKE CAFE: A NOVEL WITH RECIPES by Jenny Colgan. However, after I read the publisher's summary, I also discovered that this book sounded like an ideal summer read. MEET ME AT THE CUPCAKE CAFE is already an international success with its relatable characters and scrumptious recipes at the start of each chapter. But now, Ms. Colgan is bringing her hilarious and heartfelt stories—with a dash of deliciousness—to the United States. To celebrate, Sourcebooks is giving away copies of this book ALL MONTH LONG! Each day this month, look for opportunities to win a print copy of MEET ME AT THE CUPCAKE CAFE with bloggers all over the book blogging community. Additionally, there will be a few guest blogs and interviews with Jenny sprinkled throughout—a great way to get to know a new author! I am lucky enough to be participating in this very fun tour. 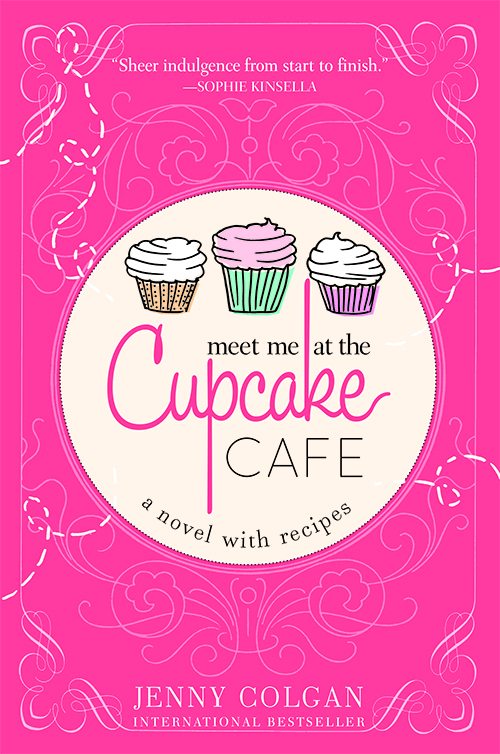 For a chance to win your very own copy of MEET ME AT THE CUPCAKE CAFE, just fill out the form below before July 22nd at 11: 59 p.m. EST. I will randomly select and notify the winner the following day. This contest is open to those of you with U.S. and Canada addresses only. Good luck! This one really does sound like a fun summer read. This sounds like a cute book! Thanks for the giveaway! Hearing about this book makes me smile! Thanks for offering a chance to win.